Steve McQueen ("12 Years a Slave") assembles an all-star cast for "Widows," the story of a group of recently widowed women decide to complete their criminal husbands' final heist. Viola Davis, Michelle Rodriguez, Elizabeth Debicki, Cynthia Erivo, Colin Farrell, Daniel Kaluuya, Liam Neeson and Robert Duvall co-star. 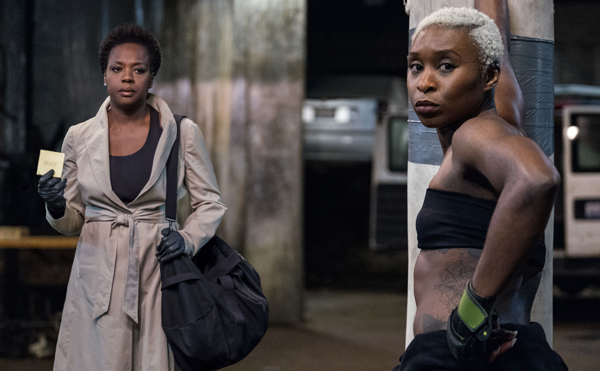 In his review of "Widows" at IGN, William Bibbiani calls the film "the most artsy, thoughtful and impressively cast heist movie in a long, long while," but criticizes the film not balancing its pulpy heist storyline with its heady intellectual commentary.